1. Anil Srivastava, a 1985 batch Madhya Pradesh cadre lAS, has been appointed as Advisor (JS level) in NITI Aayog, on lateral shift basis in place of Ms Alka Tiwari, a 1988 batch Jharkhand cadre lAS. 2. Jatindra Nath Swain, a 1988 batch Tamil Nadu cadre IAS, has been appointed as joint secretary in the ministry of new and renewable energy for a period of five years in place of Santosh D Vaidya, a 1988 batch AGMUT cadre IAS. 3. Upma Srivastava, a 1988 batch Sikkim cadre IAS, has been appointed as joint secretary in the ministry of civil aviation in place of Anil Srivastava, a 1985 batch Madhya Pradesh cadre lAS. 4. K Vinayak Rao, 1987 batch IRAS, has been appointed as Member (Finance) (JS level) in Delhi Development Authority (DDA) under the ministry of urban development for a period of five years in place of Venkatesh Mohan, a 1983 batch Indian Audit and Accounts Service officer. 5. Madhu Ranjan Kumar, a 1984 batch IRSS and secretary (JS level), NCMEI, has been appointed as joint secretary in the department of higher education. 6. Pramod Kumar Pathak, 1986 batch Kerala cadre IFoS, has been appointed as joint secretary in the ministry of AYUSH for a period of five years in place of AK Ganeriwala, a 1986 batch Sikkim cadre IFoS. 7. Kamlesh Chaturvedi, 1988 batch Madhya Pradesh cadre IFoS has been appointed as joint secretary in the ministry of road transport and highways for a period of five years in place of Rohit Kumar Singh, a Rajasthan cadre lAS of 1989 batch. 8. PK Borthakur, 1989 batch Assam cadre lAS, has been appointed as joint secretary in the department of agriculture, cooperation and farmers’ welfare in place of Rajesh K Singh, a 1989 batch Kerala cadre IAS. 9. K Rajaraman, a 1989 batch Tamil Nadu cadre IAS, has been appointed as joint secretary in the department of expenditure in place of Vivek Joshi, 1989 batch Haryana cadre IAS. 10. Srinivas Ramaswamy Katikithala, 1989 batch Gujarat cadre IAS, has been appointed as joint secretary in the department of personnel and training. 11. Shantmanu, 1991 batch Jammu and Kashmir cadre IAS, has been appointed as Development Commissioner (Handicrafts) (JS level) under the ministry of textile K Gopal, 1992 batch Tamil Nadu cadre lAS. 12. Pramod Kumar Tiwari, a 1991 batch Assam cadre IAS, has been appointed as joint secretary in the department of food and public distribution for a period of five years in place of Deepak Kumar, a 1990 batch UP cadre IAS. 13. Nidhi Chhibber, 1994 batch Chhattisgarh cadre IAS, has been appointed as joint secretary in the department of defence for a period of five years in place of Suresh Kumar, 1986 batch Jammu and Kashmir cadre IAS. 14. Meera Ranjan Tshering, 1988 batch IPoS, has been appointed as joint secretary in the ministry of women and child development in place of Sarita Mittal, a CSS officer. 15. OK Sekar, 1995 batch Indian Audit and Accounts Service officer, has been appointed as additional DGFT (JS level), Chennai, DGFT, under department of commerce for a period of five years in place of M Sai Kumar, a 1980 batch Tamil Nadu cadre IAS. 16. Sarita Mittal, a CSS officer, has been appointed as joint secretary in the department of health research in place of Manoj Pant, a 1986 batch IFoS. 17. Alok Saxena, a 1989 batch IPoS, has been appointed as joint secretary in the department of health and family welfare for a period of five years in place of KB Agarwal, a 1985 batch Jammu and Kashmir cadre IAS. 18. 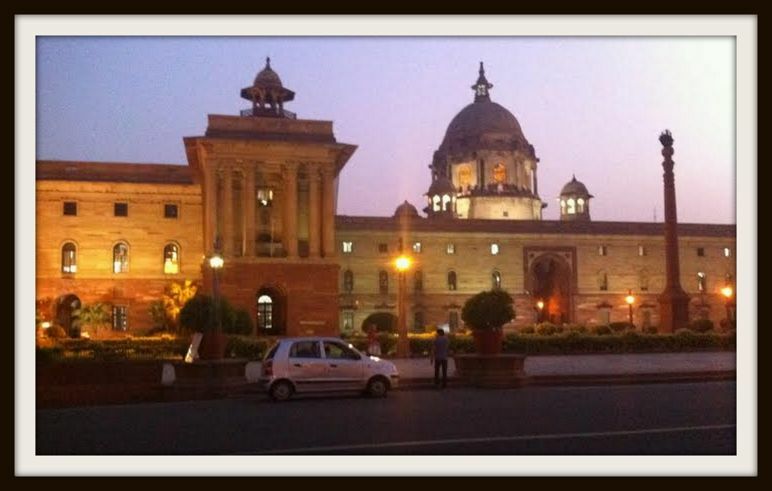 The government has prematurely repatriated Vandana Gupta, a 1990 batch IP and TA and FS officer and joint secretary in the ministry of women and child development with immediate effect. 19. Chhavi Jha, a 1990 batch IRAS, has been appointed as joint secretary in National Commission for Women under the ministry of women and child development. 20. Aastha Saxena Khatwani, a 1991 batch ICAS, has been appointed as joint secretary in the ministry of women and child development in place of Rashmi Saxena Sahni, a 1984 batch IRS. 21. Murugan Arumugam Inbarasu, a 1985 batch IRSME, has been appointed as joint secretary, in Atomic Energy. He will be located in Mumbai.